Taken outside a Bishop Auckland style emporium while on a trip to Wilkos. There’s so much wrong here I don’t quite know where to start. Remember the days when you’d mutter “tut tut tut” under your breath, pop into the shop and mention their slip up quietly to the gormless work experience girl behind the counter? You’d laugh it off before continuing on your merry way while she did precisely nothing. Now, thanks to the joys of the internet you can photograph the evidence, send it round the world and embarrass the poor buggers to a global audience. Well that’s social media for you. On the plus side, I guess that’s a decent price though. There is nothing more dispiriting than being in a crowd. Any pride in being an individual (only dead fish go with the flow etc etc) is lost. Such thoughts filled my head this morning when I found myself strangely drawn away from my usual route round Asda in Bishop Auckland. I tried to resist but a large group of shoppers had gathered round a display at the entrance to the store. Normally this can mean only thing…..bbq briquettes being sold for 25p a bag while the snow falls outside. But no, it was for a book. Interest in literary matters is not something you expect from the sort of people I see shopping in superstores on a weekday morning. I do not wish to generalise but well…you know. Normally I have to hide in the healthy aisle to avoid the rush of mobility scooters driven by often very large people to get to the confectionary section (why why why). The book is Dan Brown’s latest. The follow up to the Da Vinci Code. The global hype had arrived in Asda and so I resigned myself to snapping it up …for a fiver. Cover price £18.99. 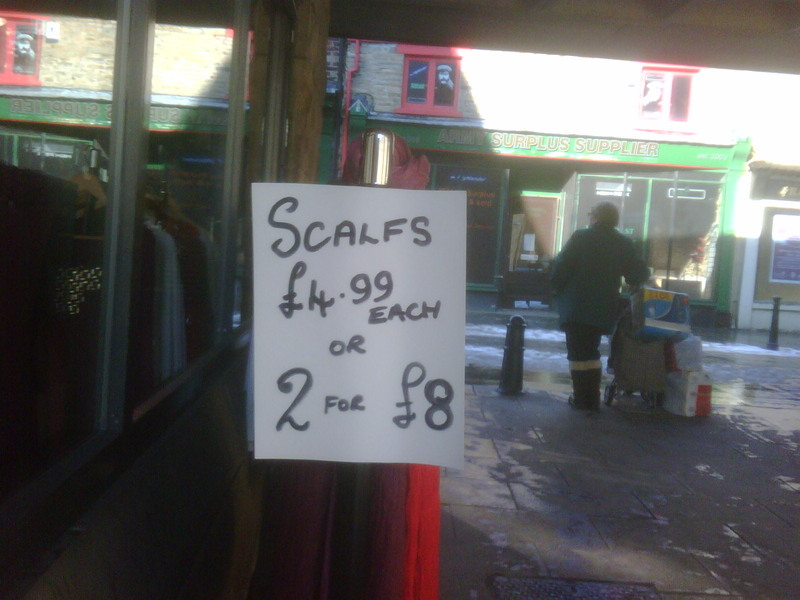 Quite a bargain. So within 30 seconds of being in the store I’d spent £5 for something which I didn’t really need but felt I probably should have. And it was just sitting there. All shiny and new. 400 of them. This is what annoys me about the modern shopping experience. Products are dangled in front of you in the most unexpected places. Well, of course their marketing people will have done their homework. To them they are in the most expected places. And so that’s why I’d bought wine three aisles before the booze section and various cleaning implements for Mrs Vole shortly after negotiating the parsnips. I am outraged, but will of course be back next week. Jordan’s latest paperback might be on sale.